St. Mary’s is a town centre Church with congregations from the town and beyond. We aim to do our best to offer helpful and appropriate pastoral care to all of our congregations, staff, and visitors. Obviously the best place to offer pastoral care is through our existing friendship groups, but sometimes it’s helpful to know what else might be available. This page summarises what we currently offer and some of our development plans. 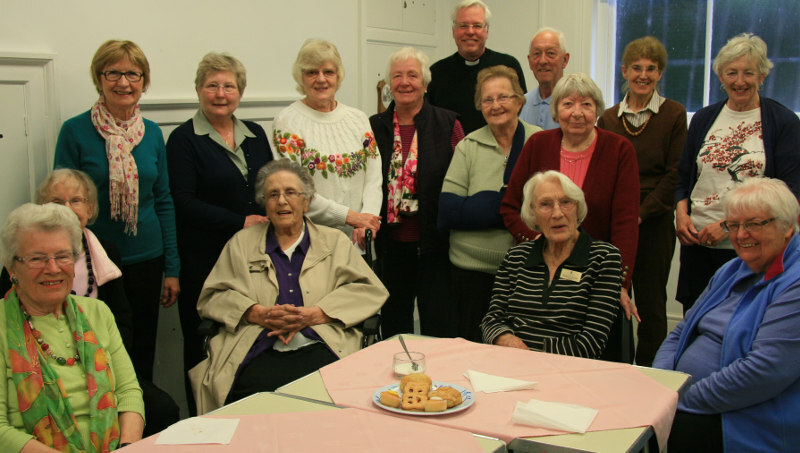 At St Mary’s, we have a lay Pastoral Care Team who meet regularly so that their ministry is not exercised in isolation and so they can receive teaching and training and discuss problems encountered in the course of their work. We are in the process of reorganising our Pastoral Visiting Team and our Bereavement Support Team. Part of the role of pastoral care in any Church is to see how best to live out Jesus’ commandment in our life together. The apostle Paul spent some time in his epistles trying to help the young churches learn how to ‘love one another’. For example, in the letter to the Galatians: ‘Bear one another’s burdens’ . . . ‘Let us not grow weary in well-doing’ . . . ‘So then whenever we have the opportunity, let us work for the good of all’. The precept of doing good to one another, caring for one another, is to be found throughout the pages of Scripture, both explicitly and implicitly. Jesus says that the nature and quality of our relationships will be one way in which people will know we belong to him. It is a calling to each of us to care for others. It is not just the prerogative of specialists; it is for everyone: all are called to it, all are chosen to participate. To provide the love, support and empowerment of Jesus to anyone in need within Church groups, the Church family and the town. To have a reinvigorated pastoral team up and running as soon as possible. These are places of mutual care and support; this is expressed by prayer, spiritual encouragement and practical help. Please contact the Parish Office if you would like to join a home group. Please see the Home Group page for more information. If you go into hospital, please let the Parish Office know so that we can be in touch with the Hospital Chaplain on your behalf. We may also be able to organise a visit from a member of the congregation or clergy team. If you become housebound there is a team of lay people who can visit, and another team who are ordained who can bring you communion. To make a request for a visit please contact the Parish Office. If you are recently bereaved or facing other life challenges, you are invited to our “Open House” sessions held every month in the Parish Hall. Not only will you meet others in your situation but also members of our bereavement support team. Friday Soup Lunch – Providing a weekly meeting point and refreshment for many. These instances will usually be referred to appropriate specialists. The clergy are often able to help members of the congregation find suitable resources. We are always happy to see people on pastoral matters.